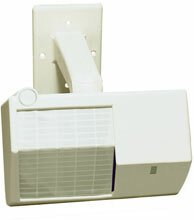 The wall or ceiling mount Bosch DS720i Series provides installation flexibility using field-replaceable mirror arrays with three different coverage patterns: 300 ft. by 15 ft. (91 m by 4.6 m), 120 ft. by 25 ft. (37 m by 8 m), or 90 ft. by 70 ft. (27 m by 21 m). The combination of passive-infrared (PIR) detection, microwave detection, and advanced signal processing techniques allows the DS720i Series to rapidly respond to human targets without triggering false alarms from other sources. Motion monitor supervision and anti-masking protection ensure that the detector's view of the coverage area remains clear and unobstructed. The Bosch DS720I is also known as BOS-DS720I	.